Now let visitors have a look at your Instagram photos easily! 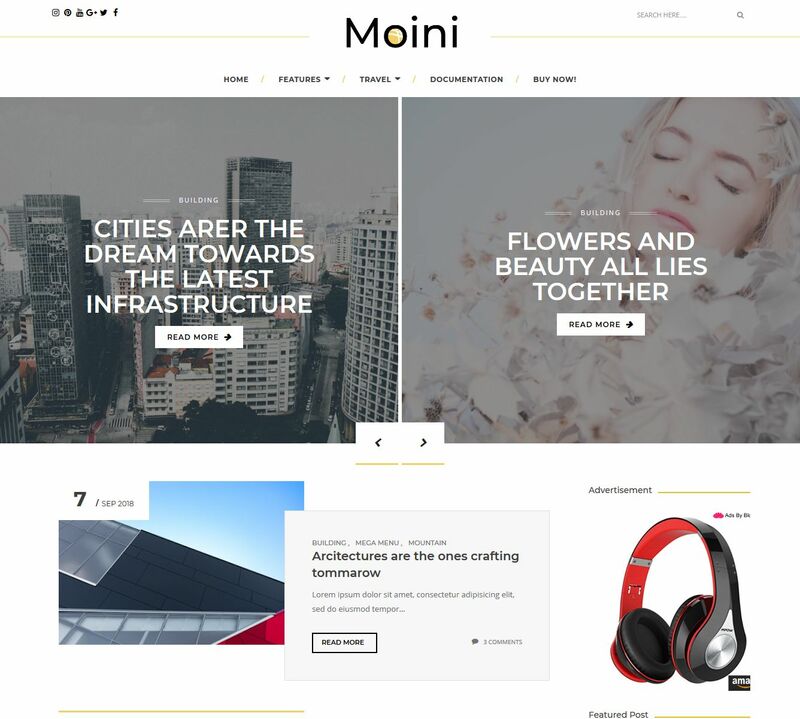 Moini is packed with the 3 different type of post page layouts. Build up your site with slider and show your posts at top. Moinicomes up with the perfectly crafted pagination script which performs perfectly over all the pages and let's user navigate easily from one page to another. Get your site up and running with Moini.